Buying On Time has been a process. It began with a crawling idea, followed by a walking curiosity, and quickly became a running interest. It didn't take long until the kindle was fueled by the desire to acquire more knowledge...and more watches. (Yikes!) Ultimately, the process morphed into a labor of love, and sometimes the occasional disdain. Buying On Time is my vintage-tinged perspective of finding & collecting timepieces generally outside today's 'norm'. 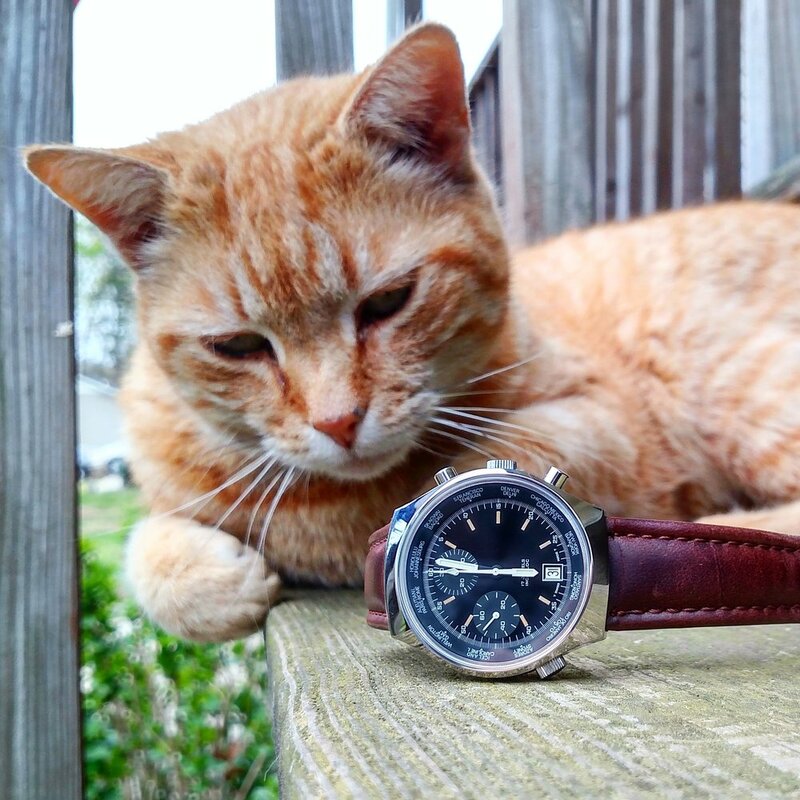 It is a small slice of the larger horological hobbyist's pie; but, boy, does it taste good. The vast majority of the watches that pass through are genuine oldies, but there are some modern pieces you will see from time to time (no pun intended). Most of those will have direct influence from a historical watch or style, however. Throughout my journey thus far, I have met a lot of great individuals and undoubtedly made friendships that I am truly thankful for. Without many, I wouldn't have received the help I required or been offered assistance and advice on numerous occasions. What was initially just about watches has revealed itself much more about relationships instead. I am deeply grateful to each of those people. While I do seek to share and bring a focus to as much of what has drawn me to the world of watches as I can, my true litmus test will be this: If I positively impact folks along the way, then I will have succeeded. If I simply share and disseminate watches alone, then I will have failed. I honestly enjoy horology and this hobby that I have become so captivated by, but I am reminded often that the tangible things of this world, while pleasing, are not to be held too tightly; We cannot bring them with us when our days are through. Thanks for stopping by & God bless!